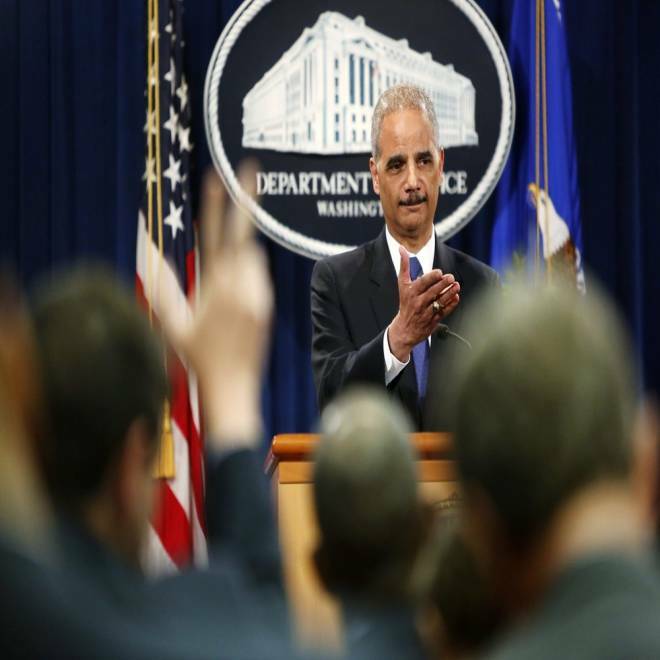 U.S. Attorney General Eric Holder calls on a reporter during a news conference at the Justice Department on Tuesday. The day of back-and-forth public sallies came as new details emerged about negotiations between the AP and U.S. officials over the unauthorized release of classified information on a foiled bomb plot in Yemen, information that apparently triggered the investigation. Holder’s comments and a letter from Deputy Attorney General James Cole defending the seizure of the AP records – without notifying the news organization until last week -- drew a stern response from AP President and CEO Gary Pruitt. He blasted the action as "overbroad under the law," saying that "more than 100 journalists work in the locations served by those telephones." "Rather than talk to us in advance, they seized these phone records in secret, saying that notifying us would compromise their investigation," Pruitt said in a statement late Tuesday. “They offer no explanation of this, however. 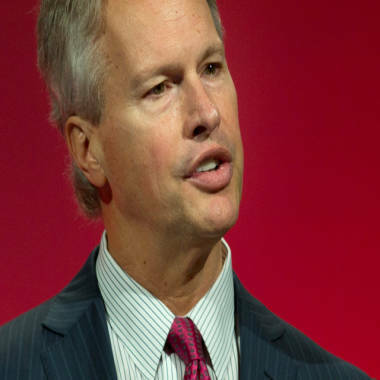 Associated Press President and CEO Gary Pruitt. "Instead they captured the telephone numbers between scores of AP journalists and the many people they talk to in the normal business of gathering news." Pruitt also defended the AP's decision to publish the story that apparently sparked the leak investigation. The May 2012 AP article disclosed what it said was a CIA operation that foiled a plot to plant a bomb on a plane from Yemen on the first anniversary of Osama bin Laden's death. The covert operation involved an informant working for British intelligence, who passed along information about a plot to detonate a refined version of a so-called “underwear bomb” aboard a U.S.-bound aircraft, intelligence officials told NBC News. The leak, and the CIA’s subsequent claim that it was behind the operation, infuriated the British, who said it put their operative at risk, according to the officials, who spoke on condition of anonymity. Prior to the publication of the story, there were extensive negotiations among AP, White House and CIA officials, said the officials. The AP initially agreed to hold the story until May 8, 2012, thereby giving intelligence officials time to minimize any risk to the informant and his family, they said. But as first reported by Reuters, the agreement broke down at the last minute over AP demands that the U.S. government officials not confirm the details of the news organization’s account for an hour after publication. A source familiar with the negotiations said White House officials concluded they could not make such a promise given they expected to be deluged with media inquiries about the matter. Erin Madigan, a spokeswoman for the AP, disputed the Reuters account. In any case, the AP ran the story on May 7. That evening, shortly before the network news broadcasts, then-White House Counter-Terrorism Adviser John Brennan held a background briefing for former counterterrorism advisers. The former advisers then appeared on television networks to talk about the foiled plot and maintain that intelligence officials had “inside control” over it. Brennan, now CIA director, later told the Senate Intelligence Committee that he conducted the briefing to avoid “dangerous questions and speculation” about the operation. Pruitt on Tuesday denied the article posed a threat to national security. "We held that story until the government assured us that the national security concerns had passed," he said. "Indeed, the White House was preparing to publicly announce that the bomb plot had been foiled. "The White House had said there was no credible threat to the American people in May of 2012. The AP story suggested otherwise, and we felt that was important information and the public deserved to know it." Pruitt's statement came after he received a letter from Cole, the deputy attorney general, which said "there was a basis to believe" the phone numbers subpoenaed "were associated with AP personnel involved in the reporting of classified information." He said the subpoenas were "limited to a reasonable period of time" and were only taken after all "alternative investigative steps had been taken … including conducting over 550 interviews and reviewing tens of thousands of documents." The statement from the AP came as criticism of the Justice subpoena mounted on Capitol Hill and elsewhere. The House Judiciary Committee is planning to grill Holder about the matter at a previously scheduled oversight hearing on Wednesday, said Rep. Bob Goodlatte, the panel’s chairman. “We definitely have some pointed questions about how and why it was decided to request such a broad and lengthy” subpoena, he told NBC News. Holder has recused himself in the case, apparently because he had prior knowledge of the information that was leaked. If Holder says he can’t answer detailed questions about the case because of his recusal, Goodlatte said the panel will follow up with Cole, his deputy. “We will definitely be pursuing this matter,” Goodlatte said.